WELCOME TO GREENVILLE. Downtown Greenville is where Richard Pearis established his plantation shortly after 1770. 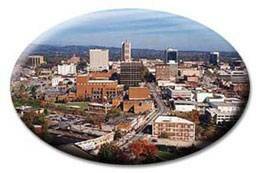 Originally a part of the Cherokee Nation, Greenville County officially began around 1786. 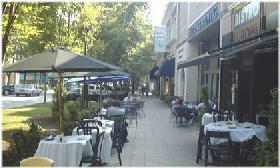 Greenville is a progressive and upward moving city that has managed to retain its small-town flavor. 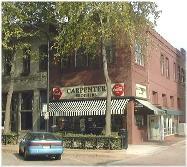 Carpenter Brothers Drug Store is located where Richard Pearis, Greenville's first settler, made his home in 1770. 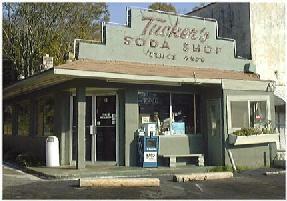 This is Tucker's Soda Shop, a famous Greenville landmark which has been in the same spot for over 50 years. Tucker's still makes burgers and shakes like they used to be made. 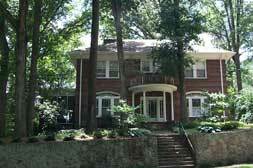 Greenville has some wonderful historic districts. We're going for a short drive through a few of them. This is the Pettigru Street Historic District. It's east of the downtown area and contains 88 structures. The majority of the buildings here were constructed between 1910 and 1950. 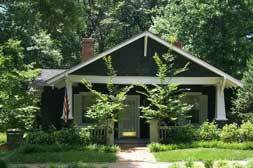 Pettigru District contains a wide variety of styles including Queen Anne, variations on the bungalow and Colonial Revival. 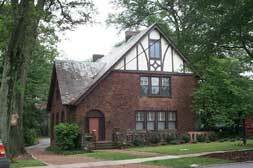 Overbrook Historic District began with the expansion of the Greenville Trolley Line in 1910. 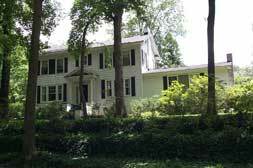 The neighborhood of Overbrook was one of the first suburbs of Greenville. It attracted many residents due to its easy access by trolley. 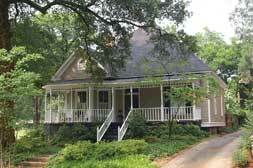 The area now known as Hampton-Pinckney Historic District was purchased by Vardry McBee who spent $27,550 for 11,028 acres of land in what is now the center of Greenville. 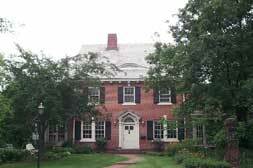 In the early decades of the 20th century the area now known as Colonel Elias Earle Historic District began to develop. 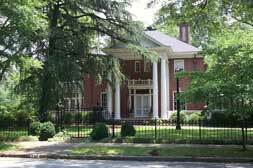 Architecturally, this district is important because it contains two of Greenville's landmarks: The Earle Town House built about 1820, and Whitehall, built in 1813. 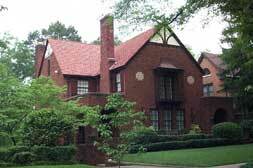 East Park Avenue Historic District is another area developing during the early 1900's. 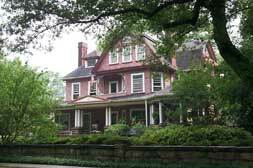 The W. C. Cleveland estate was sub-divided for residential homes. 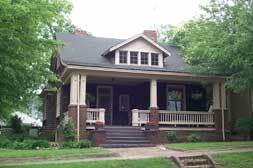 The district is significant architecturally because of its many fine examples of early 20th century Craftsman, American Foursquare, Tudor and Neo-Classical style homes. I see by the clock it's time for us to move along. I have an idea. Click on the clock and I believe it will take us to Furman University. Try it.